Before discussing further in detail about Egyptian Museum, we would like to give our reader some description first for keeping them well-informed what it is, where it is located and what purpose it was built for and when? 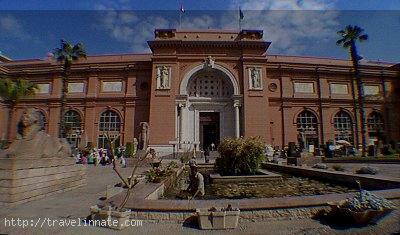 The Egyptian Museum was first built in the Boulak. 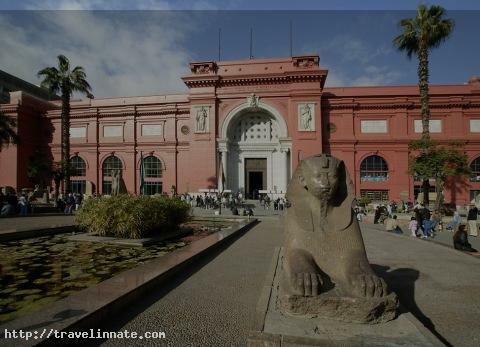 Sometime back in 1891, we believe it was moved to Giza Palace of Ismail Pasha house where the antiquities were kept those were later moved to the present building. 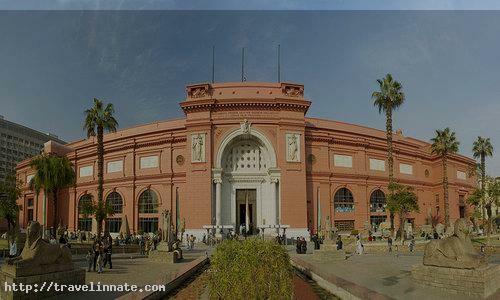 It is located at Tahrir square in Cairo. It was constructed during the reign of Khedive Abbass Helmi II in 1897 and had opened on November 1902. It has 107 halls. 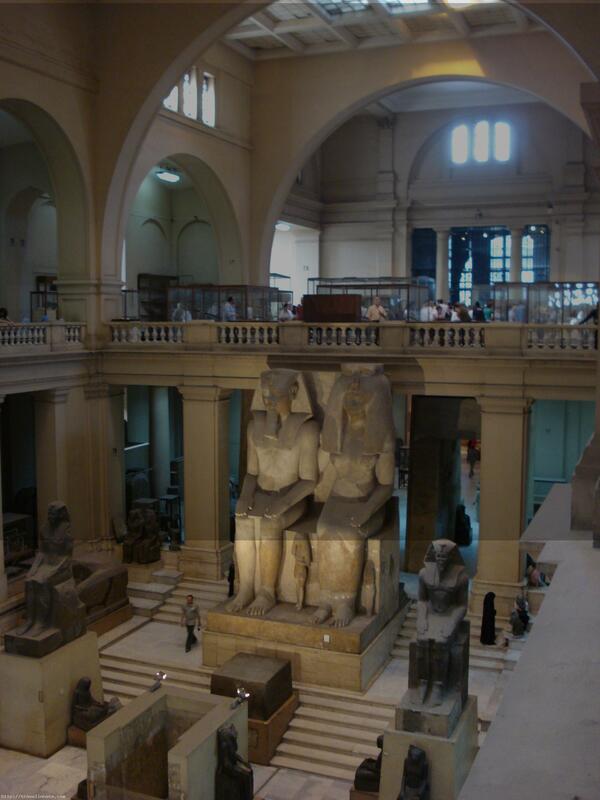 At the ground floor, there are the huge statues. The upper and top floor houses are covered with small statues, jewels, and the mummies. It comprises of photography section and a large library. 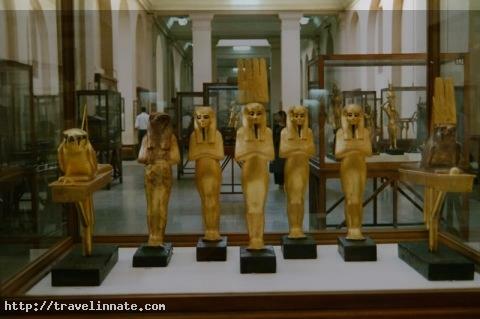 All sections of the exhibition were synchronized in chronological order. 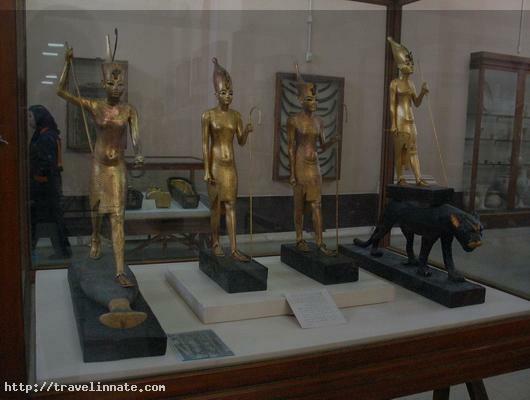 The first sectioned houses are of Tutankhamon’s treasures. 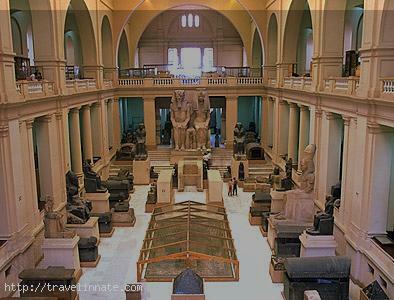 The second section represents pre-dynasty and old kingdom monuments. The third section depicts the first intermediate period and the Middle Kingdom monuments. Similarly, the fourth section gives a provision by accommodating the monuments of the modern Kingdom. The third last section has given provision of placing out the items of Greek and Roman periods. The second last house is for coins and papyrus. 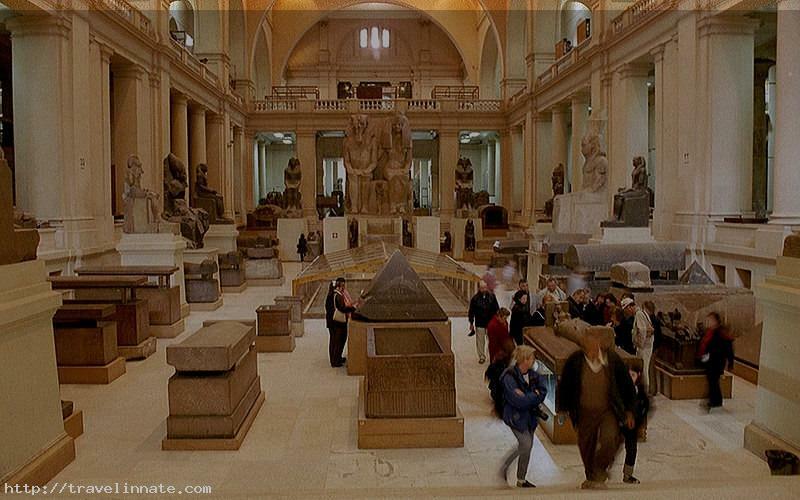 The seventh and last section is allocated for sarcophagi and scrabs. Later on a hall for the royal mummies was opened at the exhibition. 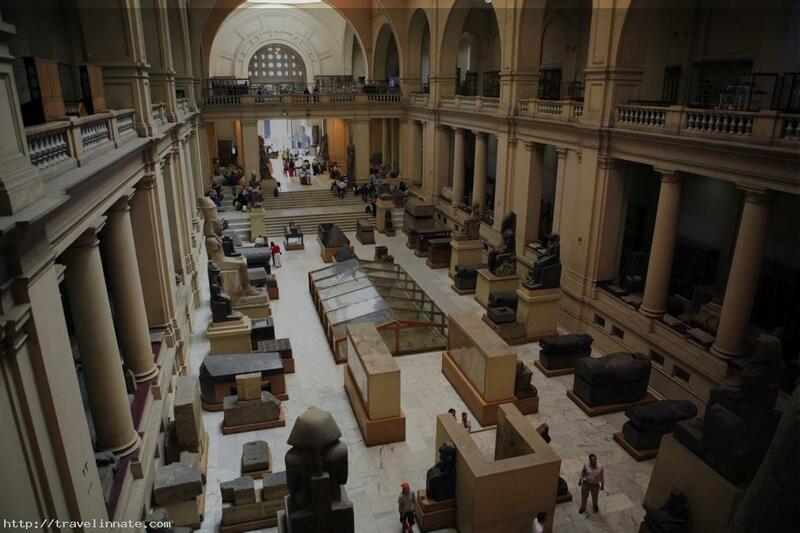 It is believed that more than a million and half tourists visit the museum yearly, in addition to that a million Egyptians. One more thing we like to bring into our reader’s notice is that during the recent Egyptian Revolution of 2011, the museum had to bear a great loss as the angry people of that revolution span had broken some of the precious items lying there in pieces, two mummies were reportedly smashed. 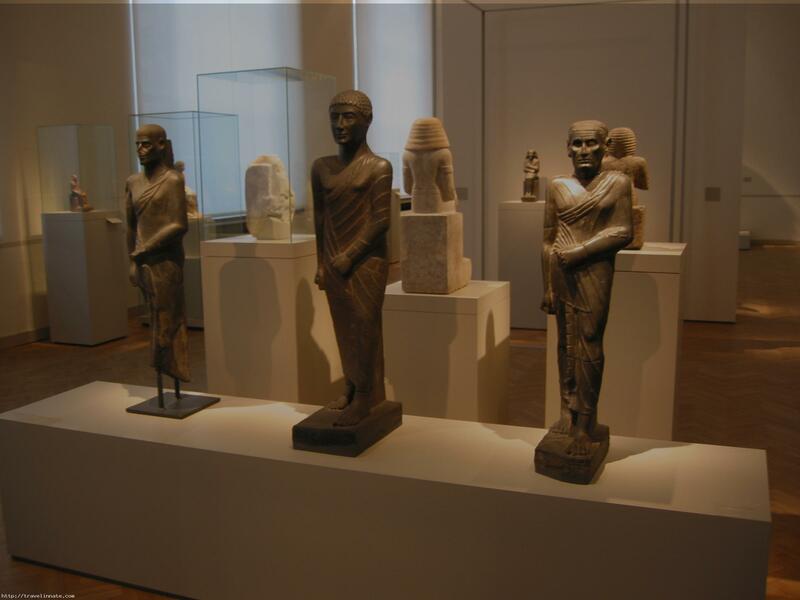 Several artifacts were also shown to have been damaged and destroyed. 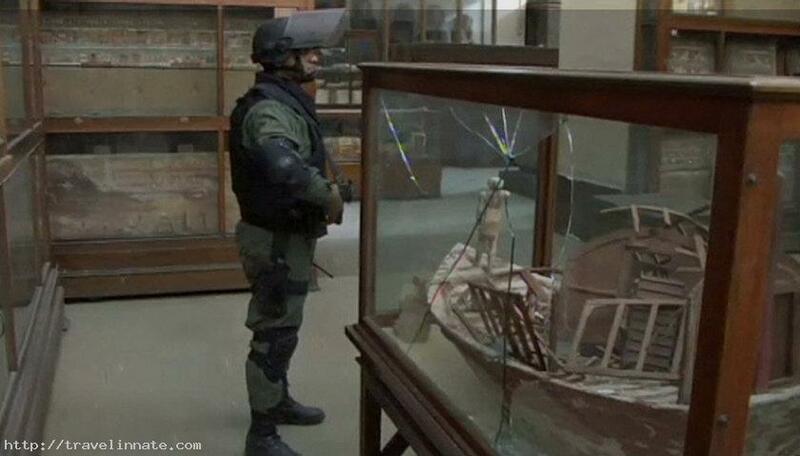 Further, around 50 objects were lost. Since then 25 objects have been found missing. 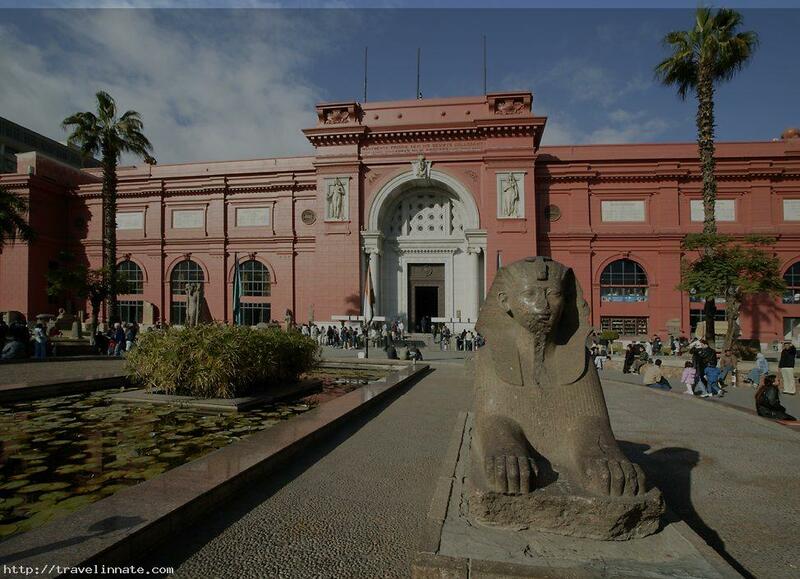 Those were restored and put on display in September 2013 in an exhibition entitled as Damaged and Restored entities. Among the displayed artifacts are two statues of King Tutankhamen made of cedar wood and top coated with gold, a statue of King Akhenaton, Ushabtis statue that belonged to the Nubian kings. I just want to mention I’m newbie to blogging and truly enjoyed this blog. Very likely I’m likely to bookmark your site . You actually come with fantastic article content. Cheers for sharing with us your web page. Please let me know if you’re looking for a writer for your site. You have some really good articles and I believe I would be a good asset. If you ever want to take some of the load off, I’d love to write some articles for your blog in exchange for a link back to mine. Please shoot me an email if interested. Thank you! Greetings from Los angeles! I’m bored to death at work so I decided to check out your site on my iphone during lunch break. I love the info you present here and can’t wait to take a look when I get home. I’m shocked at how fast your blog loaded on my mobile .. I’m not even using WIFI, just 3G .. Anyhow, great blog! I am really loving the theme/design of your site. Do you ever run into any internet browser compatibility issues? A couple of my blog audience have complained about my website not operating correctly in Explorer but looks great in Chrome. Do you have any advice to help fix this problem? Woah! I’m really enjoying the template/theme of this blog. It’s simple, yet effective. A lot of times it’s tough to get that “perfect balance” between usability and appearance. I must say that you’ve done a very good job with this. Also, the blog loads super fast for me on Internet explorer. Outstanding Blog! Hey there! Quick question that’s entirely off topic. Do you know how to make your site mobile friendly? My weblog looks weird when browsing from my iphone 4. I’m trying to find a template or plugin that might be able to correct this issue. If you have any suggestions, please share. Thanks! Good day! I know this is kinda off topic nevertheless I’d figured I’d ask. Would you be interested in exchanging links or maybe guest authoring a blog post or vice-versa? My website covers a lot of the same topics as yours and I believe we could greatly benefit from each other. If you are interested feel free to send me an e-mail. I look forward to hearing from you! Terrific blog by the way! I enjoy what you guys tend to be up too. Such clever work and coverage! Keep up the wonderful works guys I’ve added you guys to our blogroll. Hello! This post could not be written any better! Reading this post reminds me of my previous room mate! He always kept talking about this. I will forward this page to him. Pretty sure he will have a good read. Thanks for sharing! Greetings from Los angeles! I’m bored to tears at work so I decided to check out your blog on my iphone during lunch break. I really like the knowledge you provide here and can’t wait to take a look when I get home. I’m surprised at how quick your blog loaded on my phone .. I’m not even using WIFI, just 3G .. Anyways, good site! I am curious to find out what blog system you have been working with? I’m having some small security problems with my latest site and I would like to find something more safe. Do you have any solutions? We stumbled over here coming from a different web address and thought I may as well check things out. I like what I see so now i’m following you. Look forward to looking into your web page again. I¡¦ve read several good stuff here. Certainly value bookmarking for revisiting. I wonder how so much effort you put to make the sort of great informative web site. I really like what you guys are usually up too. This type of clever work and coverage! Keep up the very good works guys I’ve included you guys to my personal blogroll. Fantastic blog you have here but I was wondering if you knew of any message boards that cover the same topics talked about in this article? I’d really like to be a part of online community where I can get opinions from other knowledgeable individuals that share the same interest. If you have any suggestions, please let me know. Many thanks! I like this web blog very much, Its a really nice office to read and incur information. “Reason is not measured by size or height, but by principle.” by Epictetus. Hi there I am so delighted I found your web site, I really found you by mistake, while I was researching on Yahoo for something else, Regardless I am here now and would just like to say thanks for a marvelous post and a all round entertaining blog (I also love the theme/design), I don’t have time to read it all at the minute but I have bookmarked it and also added in your RSS feeds, so when I have time I will be back to read a lot more, Please do keep up the awesome work. Wonderful post however , I was wanting to know if you could write a litte more on this topic? I’d be very grateful if you could elaborate a little bit further. Kudos! Hey there! I understand this is sort of off-topic however I had to ask. Does operating a well-established blog such as yours take a large amount of work? I’m completely new to writing a blog but I do write in my journal on a daily basis. I’d like to start a blog so I will be able to share my experience and feelings online. Please let me know if you have any suggestions or tips for new aspiring bloggers. Appreciate it! Hey there! I’ve been following your weblog for a long time now and finally got the bravery to go ahead and give you a shout out from Lubbock Tx! Just wanted to tell you keep up the great work! With havin so much content and articles do you ever run into any issues of plagorism or copyright violation? My site has a lot of unique content I’ve either created myself or outsourced but it seems a lot of it is popping it up all over the internet without my permission. Do you know any solutions to help protect against content from being ripped off? I’d truly appreciate it. Have you ever considered creating an e-book or guest authoring on other sites? I have a blog based upon on the same subjects you discuss and would love to have you share some stories/information. I know my visitors would enjoy your work. If you’re even remotely interested, feel free to shoot me an e-mail. Awesome blog you have here but I was curious about if you knew of any community forums that cover the same topics talked about in this article? I’d really like to be a part of online community where I can get advice from other experienced individuals that share the same interest. If you have any recommendations, please let me know. Thanks a lot! With havin so much content and articles do you ever run into any issues of plagorism or copyright violation? My website has a lot of exclusive content I’ve either created myself or outsourced but it seems a lot of it is popping it up all over the internet without my agreement. Do you know any techniques to help stop content from being stolen? I’d genuinely appreciate it. I precisely wished to thank you so much once again. I do not know the things that I might have accomplished without the entire strategies discussed by you concerning such area of interest. It seemed to be the fearsome dilemma in my circumstances, but finding out the specialised form you handled the issue made me to leap with joy. Now i’m happier for your help as well as have high hopes you comprehend what a great job you happen to be providing training other individuals via your web blog. Most likely you’ve never got to know all of us. Howdy I am so glad I found your webpage, I really found you by accident, while I was looking on Digg for something else, Regardless I am here now and would just like to say kudos for a marvelous post and a all round entertaining blog (I also love the theme/design), I don’t have time to look over it all at the minute but I have bookmarked it and also included your RSS feeds, so when I have time I will be back to read a great deal more, Please do keep up the fantastic work. I am curious to find out what blog platform you are using? I’m experiencing some small security issues with my latest website and I would like to find something more secure. Do you have any suggestions? Have you ever considered writing an ebook or guest authoring on other websites? I have a blog based upon on the same subjects you discuss and would love to have you share some stories/information. I know my readers would value your work. If you are even remotely interested, feel free to shoot me an e-mail. Hello, Neat post. There is an issue with your web site in web explorer, could test this… IE still is the marketplace chief and a big portion of other people will leave out your great writing due to this problem. Thank you for every other wonderful article. Where else may anybody get that kind of information in such a perfect method of writing? I have a presentation next week, and I’m on the search for such information. Hey there would you mind letting me know which web host you’re utilizing? I’ve loaded your blog in 3 different internet browsers and I must say this blog loads a lot quicker then most. Can you recommend a good hosting provider at a honest price? Thank you, I appreciate it! My developer is trying to persuade me to move to .net from PHP. I have always disliked the idea because of the expenses. But he’s tryiong none the less. I’ve been using Movable-type on several websites for about a year and am concerned about switching to another platform. I have heard great things about blogengine.net. Is there a way I can import all my wordpress content into it? Any kind of help would be really appreciated! I just wanted to develop a word in order to appreciate you for these fantastic information you are sharing here. My time intensive internet lookup has at the end been rewarded with beneficial knowledge to write about with my family. I ‘d tell you that most of us readers are undeniably endowed to be in a superb community with very many marvellous individuals with very beneficial tricks. I feel pretty lucky to have seen your entire website and look forward to tons of more entertaining minutes reading here. Thanks a lot once again for all the details. I¡¦ve learn some just right stuff here. Certainly worth bookmarking for revisiting. I wonder how so much attempt you put to make this kind of excellent informative site. Usually I don’t read post on blogs, but I wish to say that this write-up very pressured me to take a look at and do so! Your writing taste has been surprised me. Thanks, very nice article. Hi, Neat post. There is an issue with your site in internet explorer, might check this… IE still is the market chief and a huge component of other folks will leave out your magnificent writing because of this problem. I was looking through some of your blog posts on this internet site and I believe this web site is real instructive! Retain posting . Please let me know if you’re looking for a writer for your weblog. You have some really great posts and I think I would be a good asset. If you ever want to take some of the load off, I’d really like to write some material for your blog in exchange for a link back to mine. Please send me an email if interested. Thank you! I simply desired to say thanks once more. I am not sure what I would’ve undertaken without the actual information provided by you over this field. It was actually an absolute distressing crisis for me personally, however , discovering the very specialized technique you solved that made me to leap with fulfillment. I am just grateful for your assistance and thus have high hopes you find out what an amazing job you are always providing educating others through the use of your websites. I know that you have never come across all of us. Thank you, I have recently been searching for info approximately this subject for a while and yours is the greatest I’ve found out till now. However, what about the bottom line? Are you positive concerning the source? Hi there very nice site!! Guy .. Excellent .. Amazing .. I’ll bookmark your web site and take the feeds also…I’m satisfied to seek out a lot of helpful info right here in the submit, we want work out extra strategies in this regard, thanks for sharing. I do agree with all of the concepts you’ve presented on your post. They’re very convincing and can certainly work. Still, the posts are very quick for starters. May just you please extend them a little from subsequent time? Thanks for the post. you’re in point of fact a excellent webmaster. The website loading pace is amazing. It seems that you’re doing any unique trick. Furthermore, The contents are masterwork. you have done a excellent task on this topic! I’m curious to find out what blog system you are utilizing? I’m having some minor security issues with my latest site and I’d like to find something more secure. Do you have any suggestions? I really like your writing style, excellent info, appreciate it for putting up :D. “Silence is more musical than any song.” by Christina G. Rossetti. A person necessarily help to make severely articles I might state. That is the very first time I frequented your website page and up to now? I surprised with the research you made to create this particular submit extraordinary. Magnificent activity! obviously like your web-site but you have to test the spelling on several of your posts. Many of them are rife with spelling problems and I to find it very troublesome to tell the reality nevertheless I¡¦ll certainly come again again. What i do not understood is in fact how you’re no longer really a lot more neatly-preferred than you may be now. You’re very intelligent. You realize therefore significantly on the subject of this matter, produced me individually believe it from numerous varied angles. Its like men and women aren’t interested except it’s something to accomplish with Girl gaga! Your personal stuffs nice. All the time maintain it up! Very fantastic information can be found on web blog . “The absence of flaw in beauty is itself a flaw.” by Havelock Ellis. Hi! I’ve been reading your site for a while now and finally got the courage to go ahead and give you a shout out from Dallas Texas! Just wanted to say keep up the fantastic work! Hi there! 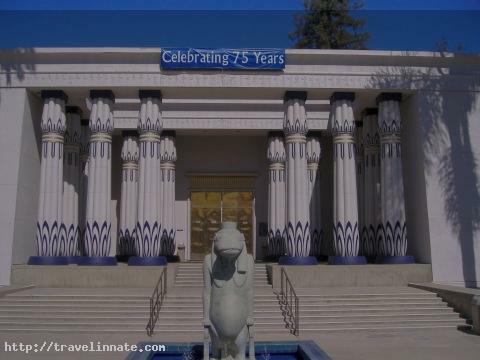 Someone in my Myspace group shared this site with us so I came to take a look. I’m definitely enjoying the information. I’m book-marking and will be tweeting this to my followers! Superb blog and great style and design. I love what you guys are usually up too. This type of clever work and exposure! Keep up the awesome works guys I’ve included you guys to my blogroll. Woah! I’m really digging the template/theme of this website. It’s simple, yet effective. A lot of times it’s very difficult to get that “perfect balance” between usability and visual appeal. I must say you have done a excellent job with this. Also, the blog loads extremely fast for me on Safari. Exceptional Blog! Hi! Someone in my Myspace group shared this website with us so I came to look it over. I’m definitely loving the information. I’m bookmarking and will be tweeting this to my followers! Excellent blog and wonderful style and design. Hi there would you mind stating which blog platform you’re working with? I’m looking to start my own blog soon but I’m having a difficult time making a decision between BlogEngine/Wordpress/B2evolution and Drupal. The reason I ask is because your design seems different then most blogs and I’m looking for something completely unique. P.S My apologies for being off-topic but I had to ask! Whats Going down i am new to this, I stumbled upon this I’ve found It absolutely useful and it has aided me out loads. I’m hoping to give a contribution & aid different customers like its aided me. Good job. Generally I do not learn post on blogs, but I wish to say that this write-up very compelled me to try and do it! Your writing taste has been amazed me. Thank you, quite nice post. I have been exploring for a little for any high quality articles or blog posts on this sort of space . Exploring in Yahoo I ultimately stumbled upon this web site. Studying this info So i¡¦m happy to convey that I’ve an incredibly excellent uncanny feeling I came upon exactly what I needed. I such a lot without a doubt will make sure to do not fail to remember this site and provides it a glance regularly. I truly enjoy reading through on this site, it has wonderful articles . “For Brutus is an honourable man So are they all, all honourable men.” by William Shakespeare. I just could not depart your site prior to suggesting that I extremely loved the standard info a person supply to your visitors? Is going to be again incessantly to check out new posts. certainly like your web site however you have to test the spelling on several of your posts. Many of them are rife with spelling issues and I in finding it very bothersome to tell the reality nevertheless I will certainly come back again. Thanks, I’ve just been looking for info about this topic for ages and yours is the greatest I have came upon so far. But, what in regards to the bottom line? Are you certain about the source? I simply desired to appreciate you once more. I’m not certain the things that I could possibly have carried out without these methods shared by you about such a field. It was before a very alarming situation in my view, but seeing a new well-written style you treated the issue took me to jump over joy. Now i am grateful for this work and even have high hopes you recognize what a powerful job that you are accomplishing instructing the others using a blog. Most probably you haven’t met all of us. You made certain nice points there. I did a search on the subject matter and found the majority of folks will consent with your blog. I was just seeking this info for a while. After 6 hours of continuous Googleing, finally I got it in your website. I wonder what is the lack of Google strategy that do not rank this type of informative sites in top of the list. Normally the top websites are full of garbage. I’ve recently started a site, the info you offer on this web site has helped me tremendously. Thank you for all of your time & work. “The very ink with which history is written is merely fluid prejudice.” by Mark Twain. Howdy would you mind stating which blog platform you’re using? I’m going to start my own blog soon but I’m having a tough time choosing between BlogEngine/Wordpress/B2evolution and Drupal. The reason I ask is because your design and style seems different then most blogs and I’m looking for something completely unique. P.S Apologies for being off-topic but I had to ask! Amazing blog! Do you have any tips for aspiring writers? I’m hoping to start my own site soon but I’m a little lost on everything. Would you suggest starting with a free platform like WordPress or go for a paid option? There are so many choices out there that I’m totally overwhelmed .. Any suggestions? Thank you! Hi there, i read your blog occasionally and i own a similar one and i was just wondering if you get a lot of spam comments? If so how do you prevent it, any plugin or anything you can suggest? I get so much lately it’s driving me mad so any support is very much appreciated. I¡¦ve learn some just right stuff here. Definitely price bookmarking for revisiting. I wonder how a lot effort you place to create such a magnificent informative web site. F*ckin’ tremendous issues here. I’m very happy to see your post. Thank you a lot and i am looking ahead to contact you. Will you please drop me a e-mail? Usually I do not read article on blogs, but I would like to say that this write-up very compelled me to try and do so! Your writing taste has been surprised me. Thank you, quite nice post. Hi there! I know this is kinda off topic nevertheless I’d figured I’d ask. Would you be interested in trading links or maybe guest writing a blog post or vice-versa? My site addresses a lot of the same topics as yours and I believe we could greatly benefit from each other. If you’re interested feel free to send me an email. I look forward to hearing from you! Fantastic blog by the way! I’m really loving the theme/design of your website. Do you ever run into any web browser compatibility problems? A handful of my blog visitors have complained about my website not operating correctly in Explorer but looks great in Opera. Do you have any recommendations to help fix this issue? I genuinely enjoy examining on this site, it has got great articles . “The great secret of power is never to will to do more than you can accomplish.” by Henrik Ibsen. I wish to voice my respect for your generosity for those people that require assistance with this subject matter. Your special dedication to passing the solution all through appeared to be pretty effective and have frequently enabled many people just like me to achieve their desired goals. Your personal useful help and advice indicates a whole lot to me and much more to my fellow workers. Thank you; from everyone of us. whoah this weblog is fantastic i really like studying your articles. Keep up the great work! You already know, lots of individuals are looking around for this information, you can aid them greatly. Hi would you mind letting me know which webhost you’re working with? I’ve loaded your blog in 3 completely different web browsers and I must say this blog loads a lot quicker then most. Can you recommend a good hosting provider at a honest price? Thank you, I appreciate it! Hi there! Someone in my Facebook group shared this website with us so I came to take a look. I’m definitely loving the information. I’m book-marking and will be tweeting this to my followers! Outstanding blog and wonderful style and design. I’m really enjoying the theme/design of your weblog. Do you ever run into any browser compatibility problems? A few of my blog visitors have complained about my blog not working correctly in Explorer but looks great in Firefox. Do you have any solutions to help fix this issue? Simply wish to say your article is as amazing. The clarity in your post is simply spectacular and i could assume you’re an expert on this subject. Well with your permission allow me to grab your feed to keep up to date with forthcoming post. Thanks a million and please keep up the gratifying work. Hello, Neat post. There is an issue along with your site in web explorer, could check this¡K IE nonetheless is the marketplace chief and a big component of people will miss your magnificent writing because of this problem. I’ll immediately clutch your rss feed as I can not find your email subscription hyperlink or e-newsletter service. Do you’ve any? Kindly let me know in order that I may subscribe. Thanks. you’re in point of fact a good webmaster. The site loading pace is amazing. It seems that you are doing any distinctive trick. Moreover, The contents are masterpiece. you’ve done a great activity in this matter! I do trust all of the ideas you have offered for your post. They’re really convincing and can definitely work. Still, the posts are too brief for newbies. May you please prolong them a little from next time? Thanks for the post. reiKuZ Im thankful for the post.Much thanks again. Much obliged. I genuinely enjoy looking through on this web site, it has fantastic blog posts. “A short saying oft contains much wisdom.” by Sophocles. Just desire to say your article is as amazing. The clearness in your post is simply nice and i can assume you’re an expert on this subject. Well with your permission allow me to grab your RSS feed to keep updated with forthcoming post. Thanks a million and please keep up the gratifying work. Keep up the good piece of work, I read few content on this site and I believe that your website is really interesting and holds bands of wonderful info . I¡¦m no longer sure where you are getting your information, however good topic. I needs to spend a while studying much more or figuring out more. Thanks for fantastic info I used to be looking for this info for my mission. certainly like your web site however you have to take a look at the spelling on quite a few of your posts. Many of them are rife with spelling issues and I to find it very troublesome to tell the truth then again I’ll surely come again again. I needed to write you one very small observation to help give many thanks the moment again for all the remarkable advice you have contributed in this article. It’s simply strangely generous of you in giving openly all a lot of folks could possibly have supplied as an e book to help make some bucks on their own, especially seeing that you might have tried it in the event you desired. The inspiring ideas as well acted like the easy way to fully grasp other people have similar zeal really like my very own to know the truth a little more pertaining to this matter. I’m certain there are several more fun opportunities ahead for individuals who scan your blog. Somebody necessarily help to make significantly posts I might state. This is the very first time I frequented your web page and up to now? I amazed with the analysis you made to make this actual submit amazing. Great activity! I wanted to create you the little observation to finally give thanks yet again for those precious concepts you’ve shown on this website. It has been seriously open-handed of people like you to supply publicly just what some people could possibly have sold for an e-book to help with making some profit on their own, most importantly since you could have tried it if you decided. The good ideas in addition served to provide a fantastic way to be sure that the rest have similar dream just like mine to find out a good deal more with regard to this problem. I’m certain there are several more pleasurable periods up front for those who read carefully your site. Hi there, I discovered your site via Google whilst searching for a comparable subject, your site came up, it seems good. I have bookmarked it in my google bookmarks. Thank you so much for providing individuals with remarkably wonderful chance to read critical reviews from this web site. It’s always so nice and as well , full of a good time for me personally and my office friends to visit your site particularly three times in a week to find out the latest guidance you will have. And definitely, I am just at all times amazed with all the eye-popping solutions served by you. Some 1 tips in this article are rather the most impressive I’ve ever had. Some truly superb info , Gladiola I noticed this. “To be conscious that we are perceiving or thinking is to be conscious of our own existence.” by Aristotle. Simply wish to say your article is as surprising. The clarity in your post is just cool and i can assume you are an expert on this subject. Fine with your permission let me to grab your RSS feed to keep updated with forthcoming post. Thanks a million and please carry on the enjoyable work. I have recently started a blog, the info you offer on this web site has helped me tremendously. Thank you for all of your time & work. “Character is much easier kept than recovered.” by Thomas Paine. Simply want to say your article is as surprising. The clearness in your post is just great and i can assume you’re an expert on this subject. Well with your permission allow me to grab your RSS feed to keep updated with forthcoming post. Thanks a million and please continue the rewarding work. Thank you for every other informative web site. The place else could I get that kind of info written in such a perfect manner? I have a mission that I am just now operating on, and I have been at the glance out for such information. You are my aspiration , I have few web logs and very sporadically run out from to brand.I conceive this website holds some really fantastic info for everyone. “Few friendships would survive if each one knew what his friend says of him behind his back.” by Blaise Pascal. hello there and thank you for your info – I’ve definitely picked up anything new from right here. I did however expertise a few technical issues using this website, as I experienced to reload the site lots of times previous to I could get it to load correctly. I had been wondering if your web host is OK? Not that I am complaining, but sluggish loading instances times will sometimes affect your placement in google and could damage your quality score if advertising and marketing with Adwords. Anyway I am adding this RSS to my e-mail and can look out for much more of your respective exciting content. Make sure you update this again very soon.. Simply wanna remark that you have a very decent site, I like the style it actually stands out. you are in reality a good webmaster. The site loading velocity is amazing. It sort of feels that you’re doing any distinctive trick. In addition, The contents are masterwork. you’ve performed a excellent task in this matter! Hello there, I discovered your blog via Google at the same time as searching for a comparable matter, your website got here up, it seems great. I’ve bookmarked it in my google bookmarks. fantastic submit, very informative. I’m wondering why the other specialists of this sector don’t notice this. You must continue your writing. I am sure, you’ve a huge readers’ base already! Thank you for your own labor on this web page. My niece really likes going through investigations and it’s really easy to understand why. I hear all relating to the compelling mode you render great ideas on the web site and in addition welcome contribution from visitors on the area plus our simple princess has always been becoming educated a whole lot. Have fun with the rest of the new year. You’re the one carrying out a fabulous job. I have been exploring for a little bit for any high quality articles or weblog posts in this sort of house . Exploring in Yahoo I finally stumbled upon this web site. Reading this info So i¡¦m satisfied to express that I’ve an incredibly good uncanny feeling I found out exactly what I needed. I most surely will make sure to don¡¦t put out of your mind this site and give it a look regularly. Gday here, just became aware of your post through The Big G, and realized that it is quite educational. I’ll value if you continue on this approach. Thank you so much for giving everyone a very remarkable possiblity to read critical reviews from this web site. It’s always very fantastic and full of fun for me and my office friends to search your web site particularly three times per week to read through the new guides you will have. Not to mention, I am also usually contented with your superb information you serve. Some 2 points in this post are particularly the simplest I have ever had. I genuinely enjoy reading on this site, it has got wonderful articles . “For Brutus is an honourable man So are they all, all honourable men.” by William Shakespeare. whoah this weblog is magnificent i like reading your posts. Stay up the great work! You know, a lot of individuals are hunting around for this information, you could help them greatly. Remarkably enjoyable knowledge that you have remarked, thanks for submitting. Great goods from you, man. I’ve understand your stuff previous to and you’re just too fantastic. I really like what you’ve acquired here, certainly like what you’re saying and the way in which you say it. You make it enjoyable and you still take care of to keep it sensible. I cant wait to read far more from you. This is actually a wonderful website. Hi there very cool website!! Man .. Beautiful .. Wonderful .. I’ll bookmark your site and take the feeds additionally¡KI am satisfied to seek out a lot of helpful info right here in the post, we need work out extra strategies in this regard, thank you for sharing. . . . . . Thank you for another excellent post. Where else may just anyone get that kind of info in such an ideal means of writing? I’ve a presentation next week, and I am at the search for such info. Thank you for sharing excellent informations. Your web site is so cool. I’m impressed by the details that you have on this website. It reveals how nicely you understand this subject. Bookmarked this website page, will come back for extra articles. You, my pal, ROCK! I found simply the information I already searched everywhere and just could not come across. What an ideal web site. Hey there would you mind letting me know which web host you’re using? I’ve loaded your blog in 3 different web browsers and I must say this blog loads a lot faster then most. Can you suggest a good web hosting provider at a honest price? Kudos, I appreciate it! It is really a nice and helpful piece of information. I am happy that you just shared this useful information with us. Please keep us up to date like this. Thank you for sharing. Hey would you mind letting me know which web host you’re using? I’ve loaded your blog in 3 completely different web browsers and I must say this blog loads a lot quicker then most. Can you suggest a good internet hosting provider at a honest price? Many thanks, I appreciate it! Wow, fantastic weblog layout! How long have you been running a blog for? you made blogging look easy. The overall glance of your web site is fantastic, let alone the content material! Needed to put you this little remark just to give thanks once again for those breathtaking basics you have featured at this time. It’s certainly remarkably generous with you giving easily all a number of us would’ve supplied as an e book to earn some money for their own end, most importantly now that you might have done it in the event you considered necessary. The tricks also worked to provide a great way to understand that other people have similar passion the same as mine to understand way more with respect to this issue. I’m sure there are a lot more pleasurable times in the future for those who read your website. F*ckin’ remarkable things here. I’m very glad to look your post. Thanks so much and i am looking ahead to contact you. Will you please drop me a mail? I’ve learn a few excellent stuff here. Certainly worth bookmarking for revisiting. I wonder how a lot effort you place to make this sort of excellent informative website. Thanks for sharing superb informations. Your website is very cool. I am impressed by the details that you’ve on this site. It reveals how nicely you understand this subject. Bookmarked this website page, will come back for more articles. You, my pal, ROCK! I found just the information I already searched everywhere and just could not come across. What a great site. I’m still learning from you, while I’m improving myself. I certainly love reading everything that is written on your site.Keep the information coming. I enjoyed it! I’m really enjoying the theme/design of your website. Do you ever run into any internet browser compatibility problems? A handful of my blog readers have complained about my blog not operating correctly in Explorer but looks great in Firefox. Do you have any solutions to help fix this problem? Howdy! I know this is kinda off topic but I’d figured I’d ask. Would you be interested in trading links or maybe guest writing a blog article or vice-versa? My website covers a lot of the same subjects as yours and I think we could greatly benefit from each other. If you might be interested feel free to shoot me an e-mail. I look forward to hearing from you! Great blog by the way! I’m curious to find out what blog platform you are working with? I’m having some small security issues with my latest site and I’d like to find something more safeguarded. Do you have any suggestions? Hey very nice site!! Guy .. Excellent .. Superb .. I will bookmark your site and take the feeds additionally¡KI’m happy to seek out so many helpful information right here within the put up, we need develop extra strategies on this regard, thanks for sharing. . . . . .
Appreciating the commitment you put into your site and detailed information you offer. It’s good to come across a blog every once in a while that isn’t the same out of date rehashed information. Excellent read! I’ve saved your site and I’m including your RSS feeds to my Google account. My coder is trying to persuade me to move to .net from PHP. I have always disliked the idea because of the costs. But he’s tryiong none the less. I’ve been using Movable-type on a variety of websites for about a year and am nervous about switching to another platform. I have heard fantastic things about blogengine.net. Is there a way I can import all my wordpress posts into it? Any help would be really appreciated! I happen to be writing to let you be aware of what a impressive encounter my princess found using your site. She figured out so many details, not to mention what it’s like to have a marvelous coaching style to get the mediocre ones quite simply know precisely selected tortuous matters. You actually exceeded readers’ expected results. Many thanks for displaying the effective, dependable, edifying and as well as unique guidance on this topic to Julie. I do accept as true with all of the ideas you have introduced for your post. They are really convincing and will certainly work. Still, the posts are too brief for newbies. May you please extend them a bit from subsequent time? Thanks for the post. With havin so much content do you ever run into any problems of plagorism or copyright violation? My blog has a lot of exclusive content I’ve either authored myself or outsourced but it looks like a lot of it is popping it up all over the internet without my permission. Do you know any solutions to help reduce content from being ripped off? I’d really appreciate it. Greetings! This is my first comment here so I just wanted to give a quick shout out and say I truly enjoy reading through your posts. Can you suggest any other blogs/websites/forums that go over the same subjects? Thanks for your time! Hi there! Someone in my Facebook group shared this website with us so I came to take a look. I’m definitely enjoying the information. I’m bookmarking and will be tweeting this to my followers! Wonderful blog and terrific style and design. I truly enjoy studying on this website , it has good blog posts. “For Brutus is an honourable man So are they all, all honourable men.” by William Shakespeare. you are actually a good webmaster. The web site loading speed is incredible. It kind of feels that you are doing any unique trick. In addition, The contents are masterwork. you’ve done a excellent task on this subject! Nice post. I was checking continuously this blog and I am impressed! Extremely helpful info specifically the last part 🙂 I care for such info much. I was looking for this certain info for a long time. Thank you and good luck. Keep up the superb work , I read few posts on this internet site and I believe that your website is very interesting and contains bands of excellent info . I was just searching for this info for some time. After six hours of continuous Googleing, finally I got it in your site. I wonder what’s the lack of Google strategy that don’t rank this type of informative web sites in top of the list. Generally the top web sites are full of garbage. Hiya, I’m really glad I’ve found this information. Nowadays bloggers publish only about gossip and web stuff and this is really irritating. A good site with interesting content, this is what I need. Thank you for making this site, and I’ll be visiting again. Do you do newsletters by email? I have been exploring for a little bit for any high quality articles or weblog posts in this sort of space . Exploring in Yahoo I ultimately stumbled upon this site. Studying this information So i am happy to show that I have a very just right uncanny feeling I found out just what I needed. I such a lot unquestionably will make sure to do not forget this website and give it a glance regularly. Hiya, I’m really glad I have found this information. Today bloggers publish just about gossip and net stuff and this is really frustrating. A good website with interesting content, this is what I need. Thank you for making this web site, and I will be visiting again. Do you do newsletters by email? Thank you for sharing superb informations. Your site is very cool. I am impressed by the details that you have on this site. It reveals how nicely you perceive this subject. Bookmarked this web page, will come back for more articles. You, my pal, ROCK! I found just the info I already searched all over the place and simply couldn’t come across. What an ideal web site. Hiya, I am really glad I have found this info. Today bloggers publish only about gossip and internet stuff and this is actually annoying. A good site with interesting content, this is what I need. Thanks for making this site, and I’ll be visiting again. Do you do newsletters by email? Hi there. I found your website by way of Google at the same time as searching for a comparable topic, your website came up. It seems to be good. I have bookmarked it in my google bookmarks to visit then. Hiya, I’m really glad I have found this information. Nowadays bloggers publish only about gossip and net stuff and this is really annoying. A good website with exciting content, that is what I need. Thanks for making this web-site, and I’ll be visiting again. Do you do newsletters by email? Hey there. I discovered your site by way of Google while searching for a related topic, your web site came up. It appears good. I’ve bookmarked it in my google bookmarks to visit then. Thank you for all your work on this web site. My mother take interest in conducting investigations and it’s simple to grasp why. All of us notice all of the lively means you present helpful techniques through this website and as well as strongly encourage participation from the others on this concern so our favorite daughter has been understanding a whole lot. Take advantage of the rest of the year. You are conducting a pretty cool job. Hey there. I found your website by way of Google even as searching for a related matter, your website got here up. It appears to be good. I’ve bookmarked it in my google bookmarks to come back then. A person essentially help to make critically posts I might state. That is the very first time I frequented your website page and up to now? I amazed with the research you made to create this particular publish extraordinary. Magnificent job! My husband and i got really glad when Raymond managed to round up his inquiry by way of the precious recommendations he discovered in your blog. It is now and again perplexing to simply find yourself freely giving methods which often some other people may have been selling. And we all already know we have the website owner to be grateful to for this. All of the illustrations you have made, the easy blog menu, the friendships your site give support to promote – it is many great, and it is making our son and our family do think this matter is awesome, which is extremely essential. Thank you for everything! Hi there. I discovered your site via Google while searching for a related subject, your web site came up. It looks good. I’ve bookmarked it in my google bookmarks to come back then. Hiya, I’m really glad I have found this information. Nowadays bloggers publish just about gossip and internet stuff and this is actually irritating. A good blog with exciting content, that is what I need. Thanks for making this web site, and I will be visiting again. Do you do newsletters by email? Hiya, I am really glad I’ve found this info. Nowadays bloggers publish just about gossip and net stuff and this is actually frustrating. A good web site with interesting content, that is what I need. Thank you for making this web-site, and I’ll be visiting again. Do you do newsletters by email? Hi there. I found your website by the use of Google whilst looking for a comparable topic, your website got here up. It seems to be great. I have bookmarked it in my google bookmarks to visit then. Hi there. I discovered your web site by the use of Google while searching for a similar subject, your site came up. It seems to be good. I’ve bookmarked it in my google bookmarks to come back then. Hiya, I’m really glad I’ve found this info. Today bloggers publish just about gossip and internet stuff and this is really frustrating. A good web site with exciting content, this is what I need. Thanks for making this web site, and I will be visiting again. Do you do newsletters by email? Great blog you have here but I was curious if you knew of any user discussion forums that cover the same topics discussed in this article? I’d really like to be a part of online community where I can get advice from other knowledgeable individuals that share the same interest. If you have any recommendations, please let me know. Bless you! Admiring the time and energy you put into your site and detailed information you present. It’s great to come across a blog every once in a while that isn’t the same outdated rehashed information. Excellent read! I’ve saved your site and I’m adding your RSS feeds to my Google account. Hiya, I am really glad I’ve found this info. Today bloggers publish only about gossip and internet stuff and this is really annoying. A good site with exciting content, this is what I need. Thanks for making this web-site, and I will be visiting again. Do you do newsletters by email? I have to express thanks to you just for bailing me out of this particular instance. Because of searching throughout the world-wide-web and finding strategies which were not productive, I believed my life was gone. Existing minus the strategies to the issues you have resolved by means of the short post is a crucial case, and the ones that might have in a wrong way affected my entire career if I had not come across the website. Your personal expertise and kindness in maneuvering all the stuff was tremendous. I’m not sure what I would have done if I had not come upon such a solution like this. I can also at this time relish my future. Thanks for your time so much for the skilled and amazing guide. I will not think twice to propose the website to anybody who needs and wants support about this matter. Hey there. I discovered your site by the use of Google while looking for a comparable topic, your site came up. It appears to be good. I have bookmarked it in my google bookmarks to come back then. You can certainly see your expertise within the paintings you write. The arena hopes for more passionate writers like you who are not afraid to mention how they believe. Always go after your heart. “Until you’ve lost your reputation, you never realize what a burden it was.” by Margaret Mitchell. What i don’t understood is if truth be told how you are now not actually a lot more well-preferred than you might be now. You’re so intelligent. You recognize therefore considerably in terms of this subject, produced me in my view imagine it from numerous varied angles. Its like men and women are not interested until it is something to accomplish with Girl gaga! Your own stuffs nice. At all times care for it up! Hello there. I discovered your site by way of Google even as looking for a related topic, your web site got here up. It looks good. I have bookmarked it in my google bookmarks to visit then. Hiya, I’m really glad I have found this information. Today bloggers publish only about gossip and net stuff and this is actually irritating. A good website with interesting content, that’s what I need. Thanks for making this web site, and I’ll be visiting again. Do you do newsletters by email? Hi, Neat post. There’s an issue along with your website in internet explorer, could test this¡K IE nonetheless is the market leader and a big component of people will pass over your great writing because of this problem. Hey very nice site!! Guy .. Beautiful .. Amazing .. I will bookmark your web site and take the feeds also…I am glad to find numerous helpful information here in the submit, we’d like work out extra techniques on this regard, thanks for sharing. You are my breathing in, I have few blogs and occasionally run out from to post .I conceive this site has some rattling excellent information for everyone. “Billy T-T-T-T-Today, Junior” by Billy Madison. Hiya, I’m really glad I’ve found this information. Today bloggers publish only about gossip and net stuff and this is actually frustrating. A good site with exciting content, that is what I need. Thanks for making this web site, and I will be visiting again. Do you do newsletters by email? Thanks for any other magnificent article. Where else could anyone get that kind of info in such an ideal manner of writing? I’ve a presentation subsequent week, and I am at the look for such info. Hiya, I’m really glad I’ve found this information. Nowadays bloggers publish just about gossip and web stuff and this is actually frustrating. A good web site with exciting content, this is what I need. Thanks for making this site, and I will be visiting again. Do you do newsletters by email? Hiya, I am really glad I have found this info. Today bloggers publish just about gossip and internet stuff and this is actually irritating. A good web site with exciting content, that’s what I need. Thank you for making this web site, and I will be visiting again. Do you do newsletters by email? Hiya, I’m really glad I have found this info. Nowadays bloggers publish only about gossip and web stuff and this is really irritating. A good web site with exciting content, that’s what I need. Thank you for making this web-site, and I will be visiting again. Do you do newsletters by email? Hello there. I discovered your website via Google even as looking for a similar subject, your website got here up. It appears to be great. I have bookmarked it in my google bookmarks to come back then. Hiya, I’m really glad I have found this info. Today bloggers publish only about gossip and net stuff and this is really annoying. A good site with exciting content, that’s what I need. Thank you for making this web-site, and I will be visiting again. Do you do newsletters by email? Hiya, I’m really glad I have found this info. Today bloggers publish only about gossip and internet stuff and this is really frustrating. A good website with exciting content, that is what I need. Thanks for making this web-site, and I will be visiting again. Do you do newsletters by email? Hey there. I found your website via Google at the same time as looking for a related subject, your site came up. It appears good. I’ve bookmarked it in my google bookmarks to come back then. Thanks for some other fantastic article. The place else may anybody get that type of info in such a perfect method of writing? I’ve a presentation subsequent week, and I’m on the look for such info. Hi there. I discovered your blog by means of Google at the same time as looking for a comparable subject, your website got here up. It looks good. I have bookmarked it in my google bookmarks to visit then. Hiya, I’m really glad I’ve found this information. Today bloggers publish just about gossip and net stuff and this is actually frustrating. A good blog with interesting content, this is what I need. Thanks for making this web site, and I will be visiting again. Do you do newsletters by email? Wonderful goods from you, man. I have understand your stuff previous to and you’re just too wonderful. I really like what you have acquired here, really like what you are stating and the way in which you say it. You make it enjoyable and you still care for to keep it smart. I cant wait to read much more from you. This is really a tremendous web site. Hello there. I discovered your website by the use of Google even as looking for a similar topic, your web site came up. It appears to be good. I’ve bookmarked it in my google bookmarks to visit then. Hi there. I discovered your site via Google while looking for a similar topic, your web site got here up. It seems great. I’ve bookmarked it in my google bookmarks to visit then. Hiya, I am really glad I’ve found this information. Nowadays bloggers publish just about gossip and net stuff and this is actually irritating. A good blog with exciting content, that is what I need. Thanks for making this site, and I will be visiting again. Do you do newsletters by email? Very efficiently written article. It will be valuable to anybody who employess it, including me. Keep doing what you are doing – looking forward to more posts. I like this weblog very much, Its a very nice situation to read and get info . “God cannot alter the past, but historians can.” by Samuel Butler. Hi there. I discovered your blog by way of Google even as looking for a related topic, your site got here up. It looks good. I’ve bookmarked it in my google bookmarks to visit then. Hi there, I found your web site by the use of Google while searching for a comparable matter, your web site came up, it looks great. I have bookmarked it in my google bookmarks. Hi there. I discovered your blog by means of Google while searching for a similar subject, your site got here up. It appears to be good. I have bookmarked it in my google bookmarks to come back then. Hiya, I am really glad I’ve found this information. Nowadays bloggers publish just about gossip and internet stuff and this is really irritating. A good web site with exciting content, this is what I need. Thank you for making this web site, and I will be visiting again. Do you do newsletters by email? Hi there. I found your web site by the use of Google while looking for a related matter, your website came up. It appears good. I’ve bookmarked it in my google bookmarks to come back then. you’re really a excellent webmaster. The web site loading pace is incredible. It seems that you are doing any distinctive trick. In addition, The contents are masterpiece. you have performed a fantastic job in this matter! Hiya, I am really glad I have found this information. Today bloggers publish just about gossip and internet stuff and this is actually irritating. A good site with exciting content, that is what I need. Thank you for making this website, and I will be visiting again. Do you do newsletters by email? Hey there. I found your website by means of Google at the same time as looking for a comparable matter, your web site got here up. It seems great. I’ve bookmarked it in my google bookmarks to come back then. Hiya, I am really glad I’ve found this information. Nowadays bloggers publish only about gossip and internet stuff and this is really frustrating. A good blog with exciting content, that is what I need. Thank you for making this web-site, and I will be visiting again. Do you do newsletters by email? Hey there. I discovered your blog by means of Google at the same time as searching for a comparable topic, your website came up. It appears to be good. I’ve bookmarked it in my google bookmarks to come back then. Hi there. I discovered your blog by the use of Google while searching for a similar subject, your website came up. It seems great. I’ve bookmarked it in my google bookmarks to visit then. Hiya, I’m really glad I’ve found this information. Today bloggers publish only about gossip and net stuff and this is actually frustrating. A good site with interesting content, this is what I need. Thanks for making this web-site, and I will be visiting again. Do you do newsletters by email? Hiya, I am really glad I have found this information. Today bloggers publish just about gossip and internet stuff and this is really annoying. A good blog with interesting content, this is what I need. Thanks for making this web site, and I’ll be visiting again. Do you do newsletters by email? Hiya, I am really glad I have found this information. Today bloggers publish just about gossip and internet stuff and this is actually frustrating. A good blog with exciting content, that’s what I need. Thanks for making this site, and I will be visiting again. Do you do newsletters by email? Hiya, I’m really glad I have found this information. Today bloggers publish just about gossip and net stuff and this is really annoying. A good blog with interesting content, that’s what I need. Thank you for making this web-site, and I will be visiting again. Do you do newsletters by email? Hiya, I am really glad I’ve found this information. Nowadays bloggers publish just about gossip and internet stuff and this is actually irritating. A good site with exciting content, this is what I need. Thank you for making this website, and I’ll be visiting again. Do you do newsletters by email? Hiya, I am really glad I have found this information. Today bloggers publish just about gossip and web stuff and this is actually irritating. A good blog with interesting content, this is what I need. Thanks for making this web-site, and I’ll be visiting again. Do you do newsletters by email? Please let me know if you’re looking for a article author for your weblog. You have some really great posts and I think I would be a good asset. If you ever want to take some of the load off, I’d really like to write some articles for your blog in exchange for a link back to mine. Please shoot me an e-mail if interested. Many thanks! Excellent blog! Do you have any recommendations for aspiring writers? I’m planning to start my own blog soon but I’m a little lost on everything. Would you recommend starting with a free platform like WordPress or go for a paid option? There are so many choices out there that I’m totally overwhelmed .. Any suggestions? Thank you! Thanks for your marvelous posting! I actually enjoyed reading it, you will be a great author.I will be sure to bookmark your blog and will often come back at some point. I want to encourage one to continue your great posts, have a nice afternoon! Do you have a spam problem on this blog; I also am a blogger, and I was wanting to know your situation; many of us have created some nice practices and we are looking to swap methods with others, please shoot me an email if interested. Thanks on your marvelous posting! I really enjoyed reading it, you may be a great author.I will be sure to bookmark your blog and will come back very soon. I want to encourage continue your great work, have a nice evening! Thanks for your personal marvelous posting! I really enjoyed reading it, you might be a great author.I will always bookmark your blog and will come back sometime soon. I want to encourage one to continue your great posts, have a nice afternoon! Admiring the commitment you put into your blog and detailed information you provide. It’s good to come across a blog every once in a while that isn’t the same unwanted rehashed information. Fantastic read! I’ve bookmarked your site and I’m adding your RSS feeds to my Google account. With havin so much written content do you ever run into any issues of plagorism or copyright infringement? My site has a lot of unique content I’ve either authored myself or outsourced but it looks like a lot of it is popping it up all over the web without my permission. Do you know any solutions to help protect against content from being ripped off? I’d truly appreciate it. I love what you guys tend to be up too. This sort of clever work and coverage! Keep up the great works guys I’ve added you guys to my personal blogroll. Have you ever thought about adding a little bit more than just your articles? I mean, what you say is fundamental and all. However imagine if you added some great pictures or video clips to give your posts more, “pop”! Your content is excellent but with images and videos, this website could definitely be one of the most beneficial in its niche. Great blog! Hiya, I am really glad I have found this info. Today bloggers publish only about gossip and web stuff and this is really irritating. A good blog with exciting content, that is what I need. Thank you for making this website, and I’ll be visiting again. Do you do newsletters by email? I’m curious to find out what blog platform you’re using? I’m having some small security issues with my latest site and I’d like to find something more secure. Do you have any suggestions? Hiya, I’m really glad I have found this info. Today bloggers publish only about gossip and internet stuff and this is really irritating. A good site with interesting content, that is what I need. Thanks for making this web site, and I’ll be visiting again. Do you do newsletters by email? Hiya, I am really glad I’ve found this information. Nowadays bloggers publish just about gossip and web stuff and this is actually irritating. A good blog with exciting content, that is what I need. Thank you for making this web-site, and I’ll be visiting again. Do you do newsletters by email? Hiya, I am really glad I’ve found this information. Today bloggers publish only about gossip and net stuff and this is actually frustrating. A good blog with interesting content, this is what I need. Thanks for making this web site, and I’ll be visiting again. Do you do newsletters by email? Howdy! This post couldn’t be written any better! Reading this post reminds me of my good old room mate! He always kept chatting about this. I will forward this page to him. Pretty sure he will have a good read. Many thanks for sharing! Hmm it appears like your website ate my first comment (it was extremely long) so I guess I’ll just sum it up what I wrote and say, I’m thoroughly enjoying your blog. I too am an aspiring blog blogger but I’m still new to everything. Do you have any tips for first-time blog writers? I’d really appreciate it. Hello there. I found your website by way of Google while looking for a comparable matter, your web site came up. It seems good. I’ve bookmarked it in my google bookmarks to visit then. Hiya, I’m really glad I have found this information. Today bloggers publish just about gossip and internet stuff and this is actually frustrating. A good website with interesting content, this is what I need. Thanks for making this website, and I will be visiting again. Do you do newsletters by email? Hello there. I found your site by means of Google even as looking for a comparable matter, your website got here up. It appears to be good. I’ve bookmarked it in my google bookmarks to visit then. Hey there. I discovered your site by way of Google at the same time as looking for a related topic, your website got here up. It appears to be good. I’ve bookmarked it in my google bookmarks to come back then. Really nice style and excellent written content , absolutely nothing else we require : D.
Hiya, I’m really glad I have found this info. Today bloggers publish just about gossip and internet stuff and this is really annoying. A good site with interesting content, this is what I need. Thanks for making this website, and I’ll be visiting again. Do you do newsletters by email? Hiya, I am really glad I’ve found this info. Today bloggers publish just about gossip and net stuff and this is actually frustrating. A good blog with exciting content, that is what I need. Thanks for making this web site, and I’ll be visiting again. Do you do newsletters by email? Hey there. I discovered your blog via Google even as searching for a similar topic, your website came up. It appears to be good. I’ve bookmarked it in my google bookmarks to come back then. Hiya, I’m really glad I have found this information. Today bloggers publish only about gossip and net stuff and this is actually frustrating. A good blog with exciting content, that’s what I need. Thanks for making this web-site, and I will be visiting again. Do you do newsletters by email? Hey there. I found your web site by way of Google whilst looking for a comparable matter, your website came up. It looks great. I’ve bookmarked it in my google bookmarks to come back then. Hiya, I’m really glad I’ve found this information. Today bloggers publish only about gossip and internet stuff and this is really frustrating. A good website with interesting content, this is what I need. Thank you for making this web-site, and I’ll be visiting again. Do you do newsletters by email? Hiya, I’m really glad I’ve found this info. Today bloggers publish only about gossip and internet stuff and this is really frustrating. A good web site with interesting content, this is what I need. Thank you for making this web-site, and I will be visiting again. Do you do newsletters by email? Hello there. I discovered your site via Google whilst looking for a comparable subject, your website got here up. It appears to be good. I have bookmarked it in my google bookmarks to visit then. Hey there. I discovered your web site by means of Google even as searching for a related matter, your website got here up. It appears to be good. I’ve bookmarked it in my google bookmarks to visit then. Hiya, I’m really glad I have found this information. Today bloggers publish just about gossip and web stuff and this is really frustrating. A good site with interesting content, this is what I need. Thanks for making this web site, and I will be visiting again. Do you do newsletters by email? Hiya, I am really glad I have found this info. Today bloggers publish just about gossip and internet stuff and this is actually annoying. A good website with exciting content, this is what I need. Thank you for making this site, and I will be visiting again. Do you do newsletters by email? Hi there. I found your site via Google while searching for a related matter, your web site got here up. It seems to be good. I have bookmarked it in my google bookmarks to visit then. It¡¦s actually a nice and helpful piece of info. I am happy that you simply shared this useful information with us. Please stay us up to date like this. Thanks for sharing. Hi there. I discovered your site by means of Google while searching for a comparable topic, your website came up. It seems great. I’ve bookmarked it in my google bookmarks to visit then. Hello there. I found your website via Google while searching for a comparable matter, your site came up. It seems to be good. I have bookmarked it in my google bookmarks to come back then. Hello there. I discovered your website by way of Google whilst looking for a related matter, your web site came up. It looks good. I’ve bookmarked it in my google bookmarks to come back then. Amazing blog! Do you have any recommendations for aspiring writers? I’m planning to start my own blog soon but I’m a little lost on everything. Would you recommend starting with a free platform like WordPress or go for a paid option? There are so many choices out there that I’m totally confused .. Any ideas? Kudos! Hey there. I found your web site by means of Google while looking for a related topic, your web site came up. It looks good. I’ve bookmarked it in my google bookmarks to visit then. I am curious to find out what blog system you are using? I’m experiencing some small security issues with my latest site and I’d like to find something more risk-free. Do you have any suggestions? Hello there. I discovered your site by the use of Google at the same time as looking for a comparable matter, your web site got here up. It seems to be great. I have bookmarked it in my google bookmarks to visit then. Hello there. I discovered your site by the use of Google even as searching for a similar matter, your web site got here up. It appears to be good. I have bookmarked it in my google bookmarks to visit then. Hiya, I am really glad I’ve found this info. Nowadays bloggers publish only about gossip and internet stuff and this is really frustrating. A good site with exciting content, that is what I need. Thanks for making this web site, and I will be visiting again. Do you do newsletters by email? Hiya, I’m really glad I have found this info. Nowadays bloggers publish just about gossip and web stuff and this is really annoying. A good blog with interesting content, that is what I need. Thank you for making this web site, and I’ll be visiting again. Do you do newsletters by email? Hiya, I am really glad I’ve found this info. Nowadays bloggers publish only about gossip and internet stuff and this is really annoying. A good web site with exciting content, that is what I need. Thank you for making this web site, and I will be visiting again. Do you do newsletters by email? Hey there. I discovered your web site by way of Google at the same time as searching for a related subject, your web site got here up. It looks great. I’ve bookmarked it in my google bookmarks to come back then. Greetings from Carolina! I’m bored to death at work so I decided to check out your blog on my iphone during lunch break. I love the info you provide here and can’t wait to take a look when I get home. I’m amazed at how quick your blog loaded on my phone .. I’m not even using WIFI, just 3G .. Anyways, amazing blog! With havin so much written content do you ever run into any issues of plagorism or copyright violation? My website has a lot of exclusive content I’ve either authored myself or outsourced but it looks like a lot of it is popping it up all over the internet without my authorization. Do you know any methods to help prevent content from being stolen? I’d truly appreciate it. Hiya, I’m really glad I’ve found this info. Nowadays bloggers publish just about gossip and internet stuff and this is really annoying. A good web site with exciting content, this is what I need. Thank you for making this website, and I will be visiting again. Do you do newsletters by email? Hello there. I found your blog by means of Google while looking for a comparable topic, your web site got here up. It seems good. I’ve bookmarked it in my google bookmarks to come back then. With havin so much content and articles do you ever run into any issues of plagorism or copyright violation? My blog has a lot of completely unique content I’ve either created myself or outsourced but it appears a lot of it is popping it up all over the internet without my authorization. Do you know any methods to help reduce content from being stolen? I’d truly appreciate it.